Very soon we expect an announcement of the new version of Windows Mobile operating system. Our readers could have read the preview of the operating system Windows Mobile 5 (Magneto) long ago. Today we introduce 2 PDAs based on the new OS version and some other interesting devices by Taiwan’s company MiTAC. As they say – you read it first. MiTAC releases own brand devices (Mio Tech) and devices for Medion. There are plenty of local brands, which aren’t known outside the country of their origin. In Russia it was Rover, but the company ceased PDA sales abandoning this direction. 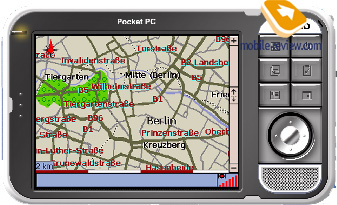 MiTAC started working with Pocket PC platform in 2001, there were developments. In the end of 2002 the company released a winning budget model MiTAC Mio338, which had no price competitors at that time (HP iPaq 1910 and Dell X3 came out later). During 2003 MiTAC launched the update for MiTAC Mio338 (the Mio 338 Plus and the Mio339 with the camera), a wireless MiTAC Mio558 and the Mio168 with built-in GPS-receiver (satellite navigation). 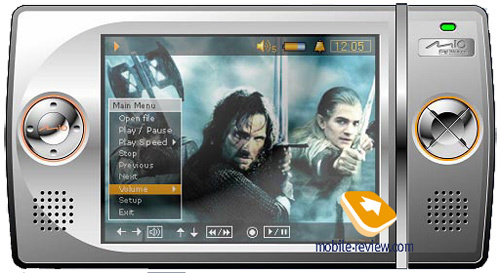 The success of this model and the following Mio 136 (Win CE instead of Pocket PC) strengthened company’s position on the PDA market, the sales growth amounted in hundred percents. Already in 2003 the company saw the prospects of the market for devices with built-in GPS-receiver, as satellite navigation turned to enjoy great demand. But only by the end of 2005 other PDA makers will bundle most new models with built-in GPS-receivers, that is one of the main trends in the industry. 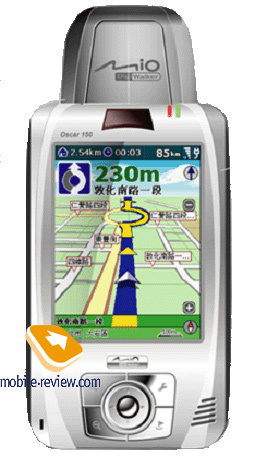 Following the success of the Mio168 and the Mio136 the whole product line was rearranged with the focus on GPS. Some projects remained just projects, for example, the Mio LB (a monochrome screen, Bluetooth, $150), the Mio 3G and some other projects. From the new products we’ve seen a Win CE PDA Oscar 100 (the Mio 268/269), it’s popular only within the Western Europe (with its own cartographical software, maps not for all countries). All new GPS products by MiTAC will involve SiRF STAR III chip by GlobalSat. It’s the latest generation of GPS chips featuring lower power consumption, a built-in ceramic antenna and high sensitivity. To add, the products offered by rival companies and aren’t yet announced will be based on the same chip, you can learn more details on the maker’s web site. The Mio 168 (the review is available on our site) has been recently updated, with the key addition of SiRF STAR III chip. There are some minor changes in design. In June 2005 the model will be moved from the market. Its life cycle could have been extended till the 4Q 2005, but there are problems with the availability of Intel PXA255 processors, the production was cancelled (due to the shortage of these processors plants are currently idle, no shipments are made, main company’s products are based on this processor). In the 4Q 2005 there will emerge the Oscar 150 to replace this model (the code name and the exact commercial index aren’t disclosed yet). This is the top product in the line. It is based on new Intel PXA 27x processor, supports Bluetooth, new OS version (Magneto), an infrared port and a dual expansion slot. It will hardly become the hit, as the Mio 168, by the release date the competitors could offer products similar in specs and functionality. The Oscar 150 will have a price tag of $450-500 at the start, then the price will be adjusted considering the competitors’ prices for similar products. The budget Pocket PC GPS is the Oscar 98. It differs from the Oscar 150 in landscape control elements orientation, a single expansion slot and the lack of Bluetooth. In common there will be Windows Mobile Magneto and SiRF STAR III chip. The release is scheduled for the 4Q 2005. I’d note, Asus is expected to launch a similar device. The Oscar 200 will replace the Mio 268/269. This isn’t a Pocket PC, it works under Windows CE the fifth version. The dimensions got smaller. 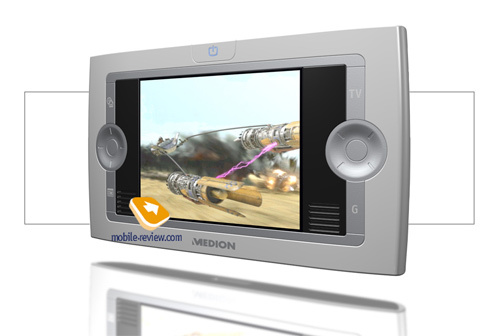 In addition to GPS the company focused on multimedia functions – MP3 and video playback. The GPS chip is SiRF STAR III. The Oscar 200 will cost less than the Mio 268/269, but higher than the Mio136. 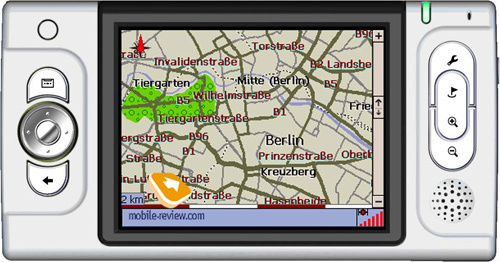 In addition to GPS devices the company pays great attention to the multimedia-oriented products. Some products were scheduled for 2004, but they have never been announced. The below-mentioned products might have the same destiny and remain just projects. 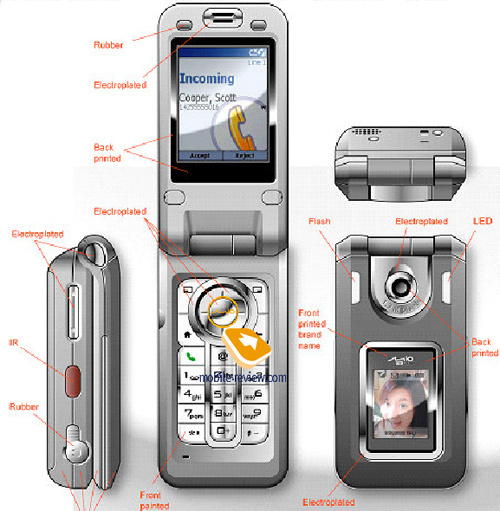 The Mio PT200 is a concept development based on the old operating system, Windows Mobile 2003 SE. Unlike other products it is equipped with an integrated digital TV receiver and non-standard control elements. It’s quite a big device oriented on home use, which is a narrow niche. The release is set for the early May, however these dates are under question. Here is an interesting development – the Mio PV150, let’s have some details on it. It’s quite tiny (the diagonal makes up just 2.7”), there are a 1” 5GB hard dist and stereo speakers. The built-in battery provides 3 hours of video playback and 12 hours of music with the screen off. Expect this product in August 2005, the price is not unveiled. We’d mention another device, the Mio PV300 (the project Mio PEC), it’s a Win CE analog of the Mio PT200, scheduled for the end of 2005. However we doubt in its appearance. It have been suspended since the mid of 2004, and now it seems be put off. 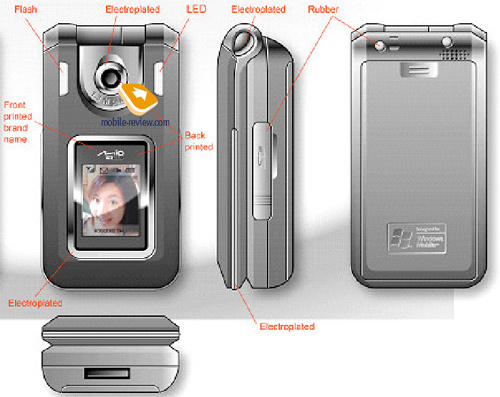 Main difficulties are likely with the development of the hinged architecture of the shell, like in Sony UX40/UX50 handhelds. The last product in today’s list, but not of least importance though, is the smartphone called the Kestrel (the commercial name is likely the Mio A701). The smartphone is powered by Windows Mobile 2003 for Smartphone, featuring a QVGA screen (320x240 pixels), displaying 64K color in reality (262K claimed), a 1.3-megapixel camera with flash, video recording opportunity (video during the incoming call). The external screen has a 1.2” diagonal and made under TFT technology. There are Intel PXA27x 312 MHz processor, an expansion slot for microSD cards (our sample featured Intel PXA26x processor, an ordinary SD/MMC slot, however there have been made changes during the development process). The device supports Bluetooth and recognizes voices). The battery is capacious of 900 mAh. In near future we plan to publish the preview of the Mio Kestrel and other products by MiTAC, which reached our test labs. Remember, not all products will come out to the market, and the products that will appear might be different in design and specifications, as they aren’t officially announced.